The automotive sector being the number one category of Polish exports to the UK is particularly exposed, mainly because of the just-in-time nature of its deliveries to UK customers, be they car makers or suppliers who buy components from Poland. 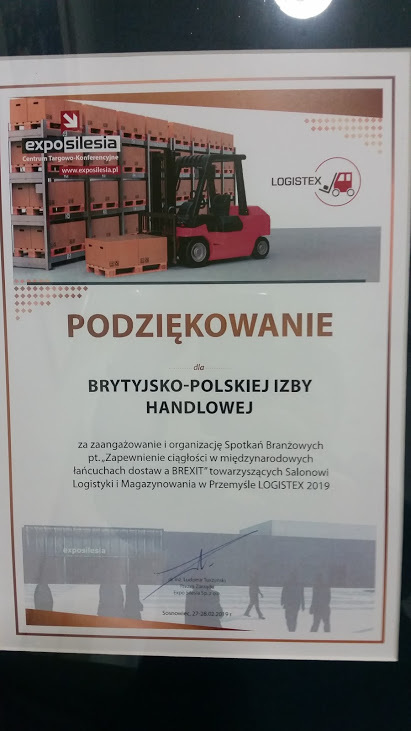 The BPCC was invited to address a seminar for the Silesian Automotive & Advanced Manufacturing cluster (SA&AM) at the Logistex event at ExpoSilesia on 28 February. 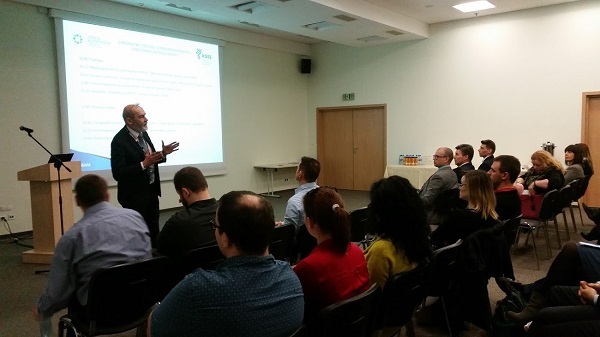 The event was chaired by Luk Palmen, SA&AM’s innovation and cooperation manager and opened by Urszula Kwaśniewska, the BPCC’s Kraków office director. The chamber’s chief advisor Michael Dembinski was joined by Witold Janusz, head of Lloyds of London in Poland and Krzysztof Łukoszyk, Raben Group’s business development manager. Mr Dembinski explained the current political situation and the reason for the continued uncertainty as to the final Brexit outcome, and advised exporters to take a view as to whether they should invest in measures to mitigate the effects of a hard (‘no-deal’) Brexit, which includes amassing new paperwork needed for exporting to a third country after 30 March, or to do nothing and hope for the best – a deal is reached with a 20-month transition period, or Brexit is delayed or cancelled. Both strategies involve risk, wasted effort or unpreparedness for a new and difficult situation. 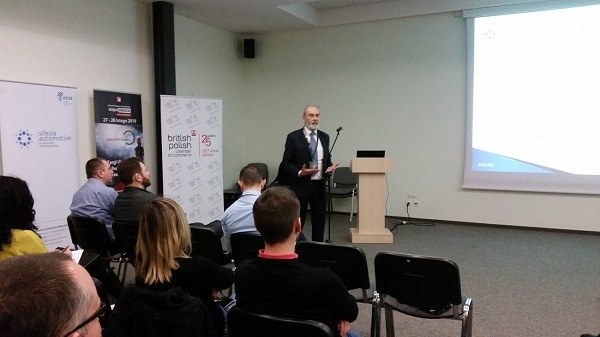 Mr Janusz talked about risk mitigation – particularly important in the automotive supply chain, where much can go wrong between producing parts and a fault-free car being driven by consumers. He mentioned the role of insurance, in areas such as business continuity and product recall. The crucial role of logistics in just-in-time delivery in a post-Brexit scenario was presented by Mr Łukoszyk, who explained just how vulnerable UK car-makers were in terms of hold-ups at the Channel ports. He listed the new paperwork that Polish exporters would require – an Economic Operator’s Registration and Identification number (EORI), without which VAT refunds would not be possible, and Country of Origin certification. He said that obtaining an EORI number – even online – takes up to eight weeks. Exporters should also be aware of tariffs, and explained how they can find out WTO tariff levels for their products online. The UK is likely to begin a process of diverging from European standards after Brexit, and that would mean new certification, with the familiar CE mark disappearing from the UK, to be replaced by UKCA (UK Confirmity Assessed). 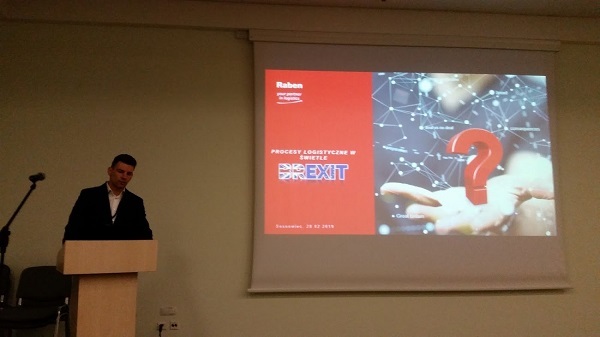 Tomasz Romanik of Dekra explained how the new system would work, and what Polish firms would need to do to be compliant in the UK after a no-deal Brexit. 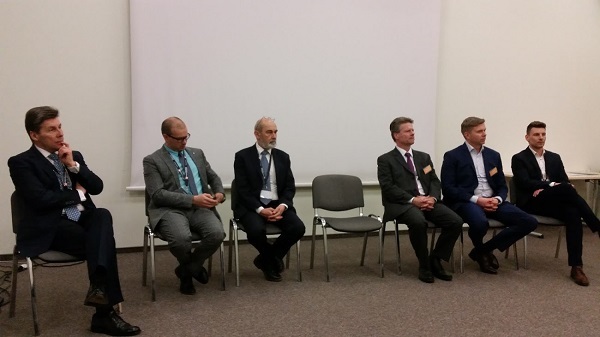 Logistics hold-ups at the ports can be avoided by the costly option of air freight; Paweł Wojda from GTL Katowice Cargo Airport explained the circumstances in which this be attractive. Mr Dembinski pointed out that niche car maker Aston Martin has stipulated air freight delivery for its supply chain post-Brexit, but that such as solution would not be practical for volume manufacturers. After a coffee break there was a panel discussion moderated by Luk Palmen, in which speakers were asked whether Brexit would bring about new logistics models for Europe. Mr Dembinski said that it was worth watching the foreign exchange markets, in particularly the pound-złoty rate – and indeed the UK bookmakers, registering the ‘wisdom of the crowds’. He said that while a hard Brexit was still favourite among those betting, the odds had lengthened in just four days from 7-2 to 9-2, while the odds of Mrs May achieving a deal and leaving the EU by 29 March were just 6-1.